FARMINGTON — Farmington Emblem Club 460, prepares for the upcoming year with the installation of new officers. 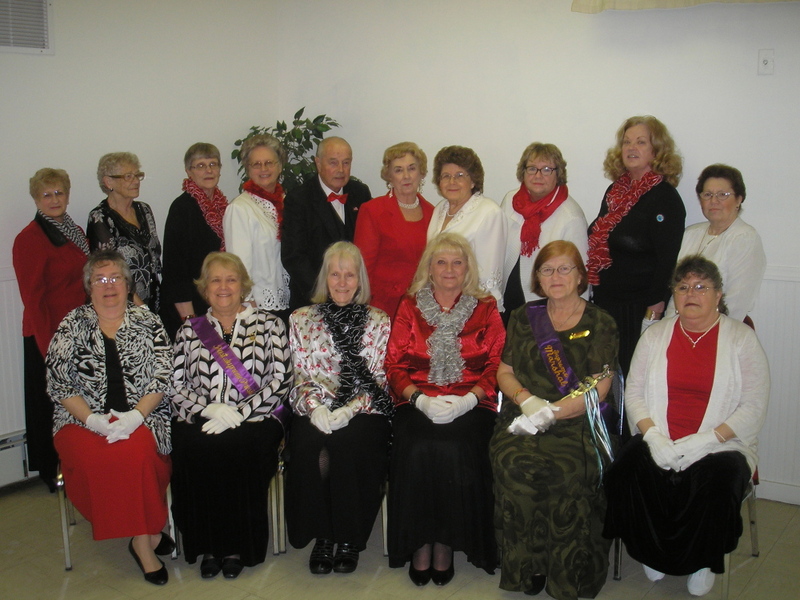 Pictured left to right seated Quinnale Kinsey, Charlotte Mills PSP the installing officer, Rebecca Hinkley; the new club president, Candace Clark, Beverly Dart the installing marshal, and Susan Soly. Standing in the back are Peggy Mosher, Constance Small, Shannon Smith, Linda Abbott, Harold O. Small, Sylvia Richards, Christine Greenleaf, Cheryl Deshaies, Susan Mattice and Kamilla Hall. After the installation lunch was served consisting of salads, a variety of soups and chowders, rolls cake and punch.